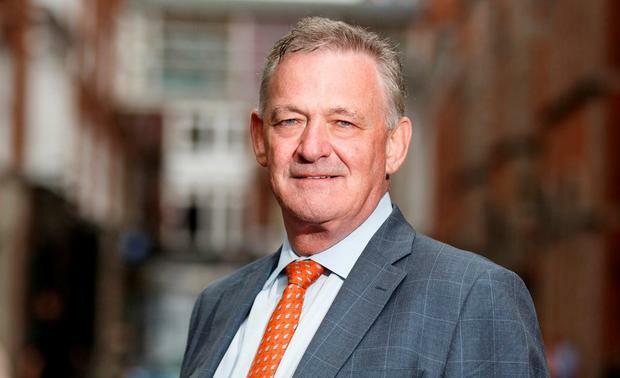 PRESIDENTIAL candidate Peter Casey faced calls to pull out of the race after claiming Travellers should not be recognised as an ethnic minority because they are "basically people camping in someone else's land". The businessman launched a lengthy attack on the community, arguing: "They are not paying their fair share of taxes in society." History was made last year when the Dáil gave formal recognition to Travellers as a distinct ethnic group within the State. However, Mr Casey said: "That's a load of nonsense. They are not from Romany or whatever." When challenged about his views on Independent.ie's podcast 'The Floating Voter' earlier this month, Mr Casey doubled down, saying the arrival of Travellers in an area "devastates the prices of the houses". "Let's call a spade a spade. Your house price doesn't start going through the roof as soon as you get two dozen Travellers moving in down the street from you," he said. He cited an ongoing dispute in Tipperary where six homes are empty in a €1.7m development because families living on an unauthorised site nearby want stables for horses. "I'm sorry, there's something seriously wrong with society when we're at that stage," Mr Casey said. His comments were last night described by Pavee Point as "ill-informed, grossly insulting and offensive". David Joyce, a member of the Travelling community and the Irish Human Rights and Equality Commission, told the Irish Independent: "He should withdraw from the campaign. He's shown he's not fit to represent all the people of Ireland. This man is a racist. He is scapegoating my community." Mr Joyce, who is also a solicitor, added: "I don't think any presidential campaign in the past has ever stooped to this level of blatant racism." He said the candidate's views were "founded on ignorance, prejudice and pure racism". "The notion that we all live in caravans and pull up on people's land is rubbish," he said. Martin Collins, co-director of Pavee Point Traveller and Roma Centre, said: "These comments put his presidential campaign on the same level as a local election where people play the nimby card to gain votes, as we have seen so often in the past. "This potentially can feed into racist stereotypes and it is reckless and irresponsible and certainly not befitting anyone standing to be president for all the people of Ireland." Mr Collins said Mr Casey's input had helped to "belittle the lived experience of Travellers in terms of racism and exclusion". The interview was described as "very concerning" by Shane O'Curry, director of the European Network Against Racism, which has 87 member organisations in Ireland. "I am shocked at the ignorance of his comments. They show that Peter Casey is as ignorant as he is inept at politicking," he said. "His comments about Traveller ethnicity fly in the face of academic consensus and what Travellers say themselves. "It betrays a gross misunderstanding of what it is to be an ethnic minority, as well as a gross misunderstanding of what life is like in Ireland for ethnic minorities. "The purpose of recognising Traveller ethnicity is to renegotiate the relationship between society and Travellers so that we can value Travellers' contribution to society more. "Peter Casey's comments have a devastating effect. Let's not forget that when politicians have made comments like those before they have resulted in violence and intimidation against Travellers." In a wide-ranging interview, on Independent.ie’s podcast, ‘The Floating Voter’, the candidate also criticises RTÉ’s handling of Monday’s televised debate and says he will apologise to Michael D Higgins for claiming taxpayers fund his dog-grooming bill if the President can produce receipts. Mr Casey claims he warned RTÉ about the potential for an audience to interrupt the ‘Claire Byrne Live’ debate as happened on Monday night. In a statement to Independent.ie, RTÉ disputed this assertion and said all candidates were aware of the selection process for audience members. 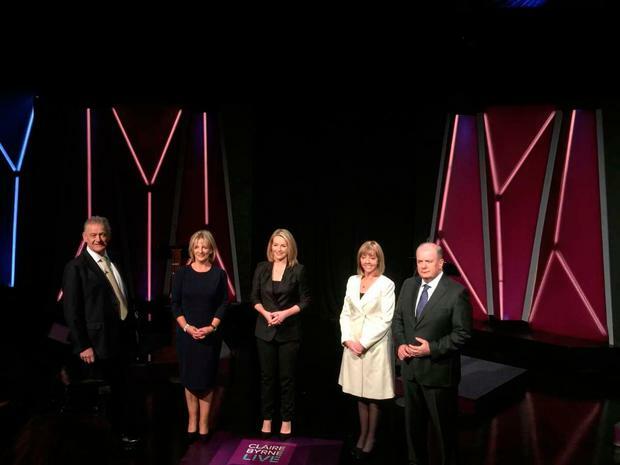 RTÉ also denied there was a dispute between management and Mr Casey after the show, saying that all the candidates were thanked for their attendance. “RTÉ continues to be in communication and liaise with Mr Casey's team today and he is scheduled to do a one-to-one interview on the RTÉ Six One News live,” a spokesperson said. President Michael D Higgins has described the views expressed by Mr Casey as “appalling”. While he said it wasn’t for him to call on a rival to drop out of the race, it was “a very important step to recognise Traveller’s ethnicity”. He told RTÉ’s Morning Ireland that Travellers are a minority who experience discrimination, have trouble accessing education and have a lifespan that is ten years less than average. Gavin Duffy said today the comments are “reckless and inflammatory and have no place in a campaign for election of First Citizen”. “They reach back into another era which I believed we, as a society and a community, have put well behind us. Senator Joan Freeman said today that many Travellers have “never been encouraged to be part of our community”. The founder of Pieta House said the suicide rate in the Traveller community is six times higher than in the general population. “Comments like these from Peter Casey are hugely disrespectful, hurtful and frankly show how out of touch he is with this country,” she said. Sinn Fein candidate Liadh Ni Riada said stereotyping of any ethnic group is unacceptable. “The Travelling community are an integral and historic element of the Irish nation who have faced discrimination and marginalisation at the hands of the state and local authorities for many decades. “They have been demonised and vilified by elements of the media who see Travellers as a handy scapegoat when discussing social problems,” she said. Social Protection Minister Regina Doherty hit out at Mr Casey this morning, saying his comments demonstrate he is not fit for the office of President. She said the comments were “disgraceful”. Speaking this morning as Fine Gael party members canvassed for a Michael D Higgins vote in next week’s election the minister said Mr Casey’s comments were divisive and disappointing. “I think he should withdraw his remarks or withdraw from the Presidential race because his remarks this morning were disgraceful,” Ms Doherty said. “I think it is disappointing that Peter Casey would choose to divide Irish society as opposed to uniting us. “All Mr Casey has done this morning is to show us the huge difference between himself and Michael D.
Emily Logan, Chief Commissioner of the Irish Human Rights and Equality Commission, stated Travellers are “almost 10 times more likely to deal with instances of discrimination than the general population, and twenty-two times more likely to face discrimination when availing of some private services. “This is just part of the reality for Travellers in Ireland today. “The recognition of Traveller ethnicity over a year ago, was part of an acknowledgment that we have in the past simplistically labelled Travellers as failed settled people, and that this historic approach delivered a denial of their rights and equality of treatment in particular in education, health and housing which the State is still dealing with today,” she said.